2011 has been the comeback year for the once-mighty Mortal Kombat franchise. After falling on hard times in the early part of this century, Ed Boon's long-running series has been brought back from the brink of death thanks to the stellar PlayStation 3/Xbox 360 reboot. Now that a few months have passed, Warner Interactive is back with a fun, albeit it barebones, Mortal Kombat compilation for the Xbox Live Arcade and PSN. 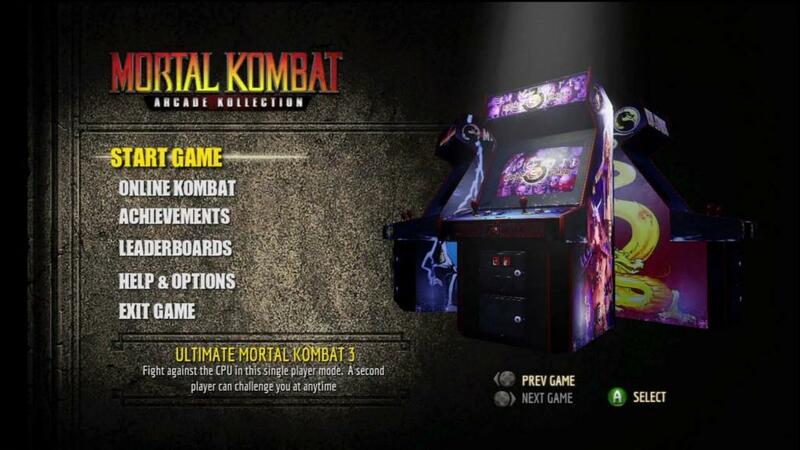 This is the Mortal Kombat: Arcade Kollection, a pack of the first three arcade releases. You get Mortal Kombat 1, 2 and Ultimate Mortal Kombat 3. Unfortunately we don't get the original, penultimate version of Mortal Kombat 3, just the expanded edition. Still, you get a lot of great arcade games for the low, low price of $10. Not a bad value, even if some games don't hold up as well as others. Our journey begins with the 1992 original, the arcade smash hit that put the series on the map. The first Mortal Kombat is understandably archaic, what with its stiff gameplay, limited special moves and brutally difficulty. This is the game that introduced the world to gory special moves and gruesome fatalities, something that would later spawn government hearings over video game violence. Beyond the non-responsive gameplay and the controversy, it's easy to see why people were so excited about the original Mortal Kombat. This is a game with a dark story and compelling fighters. This was more than a Street Fighter rip-off, it felt like a whole new way to make a fighting game. A lot of the charm has worn off in the subsequent two decades, but it's fun to go back and revisit this 1992 hit. Just don't expect to beat the game on your first try, because Shang Tsung (and the frustrating arcade difficulty) will stop you dead in your tracks ... literally. The next game in the compilation is easily my favorite. Mortal Kombat II took every good idea from the 1992 original and polished up the presentation and gameplay. The result was an incredible arcade experience full of memorable characters, gory finishing moves and enough secrets to keep you busy for weeks. Plus, it had a dark supernatural story that was unlike any other fighting game of the time. These days Mortal Kombat II doesn't hold up as much as I would like, but it remains an insanely playable fighting game with a bunch of crazy ideas. Much like the first game, the actual fighting mechanics feel stiff and the animation can feel jerky at times. 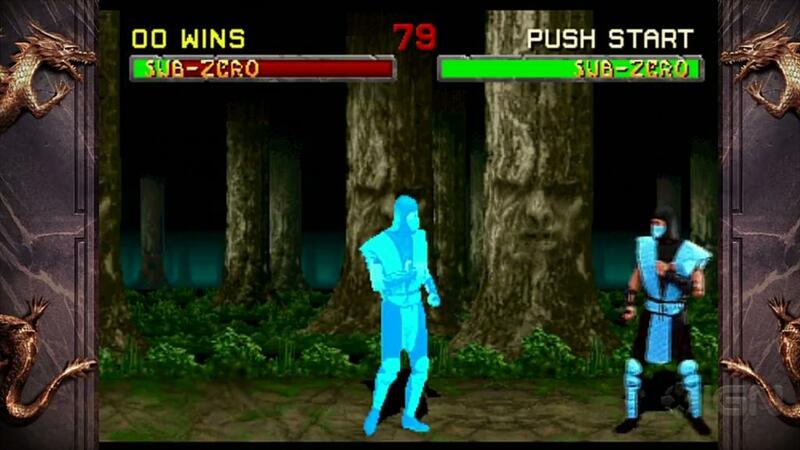 Of course, we've had 18 years of fighting game improvements since Mortal Kombat II's release. Either way, the charm of the original is still front and center in this arcade port. Of the three games, this will be the one I ultimately spend most of my time playing. 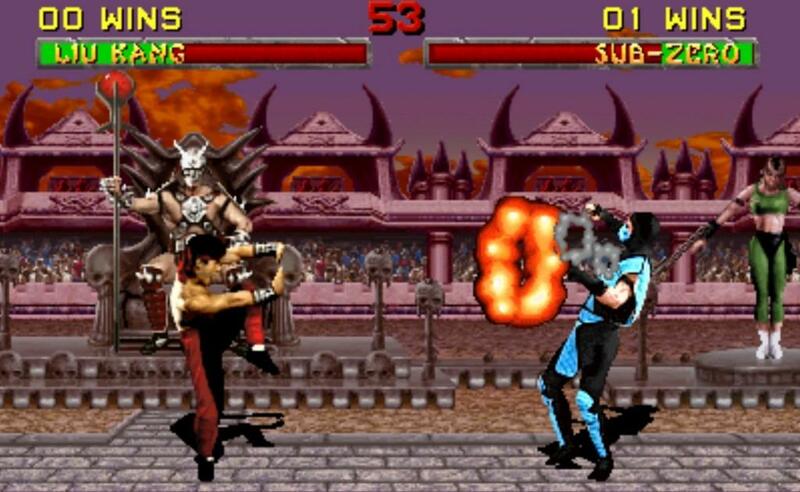 After seeing the success of Mortal Kombat II, Midway set-out to change the way players thought of Mortal Kombat. In one sense they succeeded. Unfortunately, they did this by crafting a disappointing sequel that opted for a simplistic combo system and upped the amount of downright goofy content. The result was a mess of a game that I was never able to warm up to. Even after playing through it again on the Xbox Live Arcade and in this Arcade Kollection, there's something about Mortal Kombat 3 (and this Ultimate expansion pack) that rubs me the wrong way. 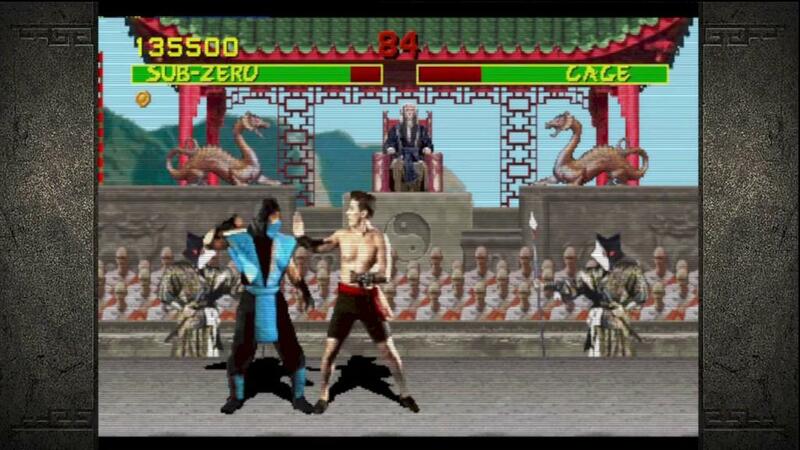 Shockingly, Ultimate Mortal Kombat III feels the most modern of any of these games. 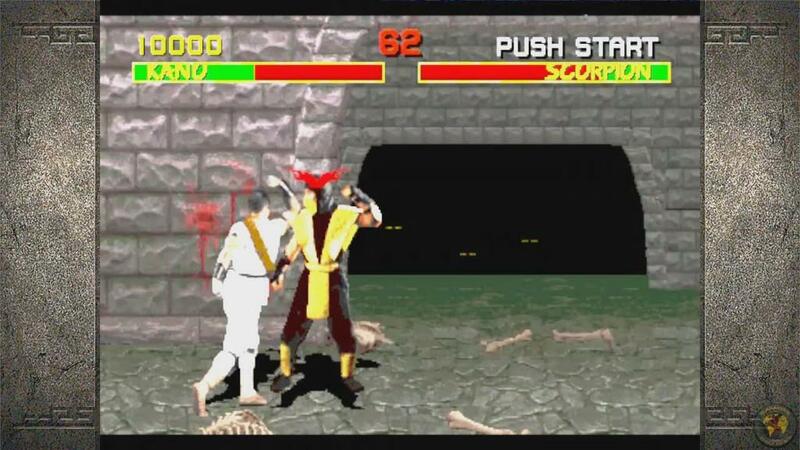 The controls are simple and everything moves a little smoother than Mortal Kombat I and II. I also found the computer AI to be a lot easier, at least in the early rounds. Throw in some truly impressive backgrounds (including some you can literally break through during mid-fight), even more gory fatalities and tons of characters, and it seems likes the perfect recipe for a Mortal Kombat sequel. But something funny happened on the way to creating the actual fighting mechanics. Ultimate Mortal Kombat 3's gameplay is a mess. Ed Boon and company added a run button and a new combo system. I'm indifferent when it comes to the run button, but I have always been deeply opposed to the dial-a-combo style that seemingly yanked directly out of Killer Instinct. Instead of learning timing and fighting game discipline, Mortal Kombat 3's combos required nothing more than button memorization. This ultimately cheapened the experience and still keeps me away to this day. Even if you can get past the user-friendly combo system, you're still left with a lot of unnecessary characters (I'm looking at you Stryker) and a story that isn't as dark as the first two games. What's more, Midway went completely overboard when it came to goofy finishing moves, going as far as to turn characters into poorly detailed animals. The whole thing started to become too meta, which wasn't a good look for Mortal Kombat. All three of these games offer a unique experience, so it's fun to switch back and forth and see just how much things changed in just a few years. Gamers who missed out on the story of the first three arcade games will want to go back and see it through, if only to have a better understanding of the events in 2011's Mortal Kombat reboot. No matter what you think of these three games, there's enough content to get your ten dollars' worth. One of the most compelling features of this Arcade Kollection is the ability to take all three games online. At least, that's what I thought going in. Sadly, this compilation has some serious network problems. Given how potentially awesome it sounds to play Mortal Kombat I and II with friends over the internet, I was disappointed to discover how crummy the performance is. Playing online means that the game runs at about half speed, making certain moves almost impossible to pull-off. I also ran into problems where the match would stop halfway through, leaving me dangling for what seemed like forever. Hopefully these network code problems (and a whole bunch of other smaller issues I haven't gotten into here) can be addressed in a title update. All three games look good and sound just like their arcade counterparts. I won't go as far as to say that the emulation is perfect, but it will be close enough for most fans of the series. The compilation also supports a number of filters, which can be used to smooth out some of the imperfections in the source material. And while you can go in and change other options, this Arcade Kollection doesn't feature a way to quickly look at each character's move list/fatalities. Huge oversight. Even with the questionable online mode and almost no extras to speak of, the Mortal Kombat: Arcade Kollection is still worth the ten dollars. The three games look good and give players enough content to warrant the price. Maybe one of these days NetherRealm Studios will give us the comprehensive compilation fans have been waiting for, but in the meantime this cheap PSN release will do. Mortal Kombat: Arcade Kollection isn't exactly the comprehensive compilation that some fans were hoping for, but it does a good job of presenting three solid fighting games for a cheap price. Unfortunately the game is marred by poor online functionality and no extras to speak of. Still, fans of the series will find enough content to warrant the ten dollar asking price! It's questionable how accurate this is, but this is all that's known about Cyril Lachel: A struggling writer by trade, Cyril has been living off a diet of bad games, and a highly suspect amount of propaganda. Highly cynical, Cyril has taken to question what companies say and do, falling ever further into a form of delusional madness. With the help of quality games, and some greener pastures on the horizon, this back-to-basics newsman has returned to provide news so early in the morning that only insomniacs are awake.